Summer may be coming to an end in a few more weeks but the hot weather is still here. For athletes, this means that there is still a more demanding need to keep your body hydrated and your fluids replenished. There are some extra measures you should take to make sure you don´t dehydrate. Drinking water and electrolyte drinks is a good way to start but there are other ways to get some extra fluids in your diet. Vegetables. Veggies that have a high water content are also a healthy snack option for before and after workouts and even just for eating throughout the day. ;Some good vegetable options that are rich in water are lettuce, zucchini, celery, tomato, cauliflower, and spinach. Add these veggies to your diet for better hydration. 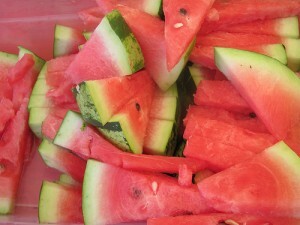 Eating veggies and fruits is not only a good way to avoid dehydration. It also helps your body stay healthier and adapt better to the training sessions because it helps you maintain a more nutrient dense diet. Come tot ;Athletic Republic ;in Parkland ;today, and start conditioning your body with the most efficient sports training program in Parkland. Call us now at (786)493-9609.